China landmarks, 5,000 years of history and culture, the discoveries of tea, silk, papermaking, printing, the compass, and gunpowder, Confucianism, through dynastic rule, and on to Communism, Chinese culture has made an impact on the world. The last few decades have seen not just an increase in tourism abroad, but with its own citizens as the middle class continues to see economic growth. Here’s how to get your visa for China for Americans. I adore street markets, and have safely sampled the food all over the world. In fact, it lights my hair on fire when people say they refuse to try street food. Eating street food is synonymous with absorbing the culture. It’s my comfort food away from home. There are, of course, some true-and-tried rules to follow, which I will reveal later on. China is legendary for its culturally-vibrant open-air markets with offerings that run the gamut from sinfully sweet, temptingly savory, nose-running spicy, to downright bizarre. Here are my market adventures. 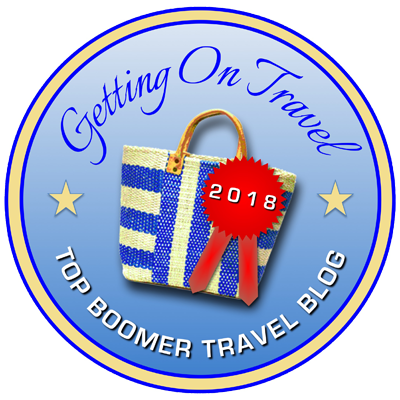 Tagged Boomer Travel Media, china, china landmarks, Forbidden City, great wall of china, Imperial Jewels of China, street markets China, Terra Cotta Warriors, Tienanmen Square, Viking River Cruises.